This is a stylish and tough this watch is perfect for everyday wear. The band is a two-tone link with angled details. 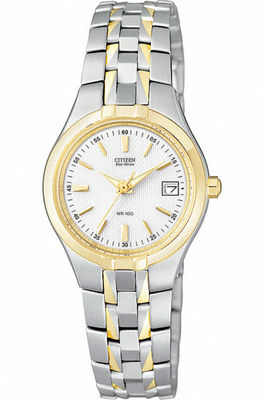 The watch face is white with gold-tone markers. A small window displays the day of the month. 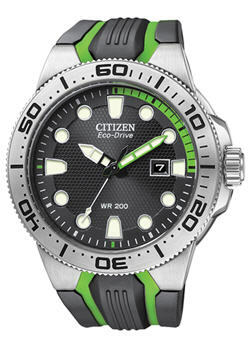 This watch has 100 meter water resistance. 100m – For frequent use with water, is not specially designed for scuba diving.